FARAWAY TOWN (f. by Not a Single Doubt). 3 wins-1 at 2-at 1100m, 1200m, A$843,475, to 2017-18, ATC Triscay S., Gr.3, Cellarbrations Penrith 2YO P., Rebecca Louise H., 2d ATC Spring S., Gr.3, Viridian Lightbridge 2YO P., 3d ATC Sires' Produce S, Gr.1, Illawarra TC Arrowfield Classic, Gr.3, City Tatt's RC Brian Crowley S., L, ATC Schweppes 2YO P., Elite Haulage H., 4th ATC Champagne S., Gr.1, MRC Sandown Guineas, Gr.2. Loyal Hero (f. by Reset). Winner at 1400m in 2016-17 in Aust. REDWOOD FALLS (Woodman). 10 wins-1 at 2-from 1400m to 1800m, A$93,750, M$5,960,750 in Aust. and Macau, AJC TL Baillieu H., L, Macau Spring Trophy, L, Macau Hong Kong Trophy, L, Star of the Sand S., Counties H., Watford H., 2d MRC Tupperware Cup, L, Macau Chairman's Challenge Cup, L, Directors' Cup, L, Autumn Trophy, L, Winter Trophy, L, Macau Derby, L, 3d Macau Winter Trophy, L, Macau Gold Cup, L, 4th AJC Champagne S., Gr.1, Macau Gold Cup, L, Macau Cup, L.
Dane Again. 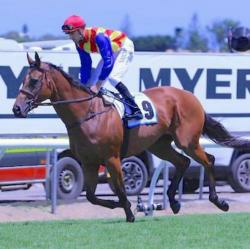 3 wins at 1200m, 1300m, A$94,250, MRC Caulfield Tabaret H., Vitalic H., Lawrence H., 2d MRC Jayco P.
SMOKO (Snitzel). 6 wins at 1000m, 1200m, A$302,000, WATC Belmont Newmarket H., L, Taipa H., Myer Spring Fashion H., Tabtouch.mobi H., Slater Standing at Gold Front Thoroughbreds H., Ozbet.com.au H., 2d WATC Prince of Wales S., Gr.3, Beaufine S., L, Goodwood Sprint H., L, 3d WATC Belmont Newmarket H., L, Summer Scorcher, L, 4th WATC RS Crawford S., L.
LISSON GROVE (Dehere). 2 wins at 2, A$77,647, SAJC Dermody S., L, MRC Hialeah H., 2d MRC Marie Louise H., 3d MRC August H., Magic Flute H. Producer. Miss Doubtfire. Winner at 1950m, SAJC Christmas Twilight P.
Jetting to London (Jet Spur). 4 wins from 1400m to 2150m, WATC Happy Birthday Erica d'Andrea H., 2d WATC Volkswagen Wangara H., 3d Northam Cup, L, SCTC Coastline BMW H.
STOWAY (Geiger Counter). 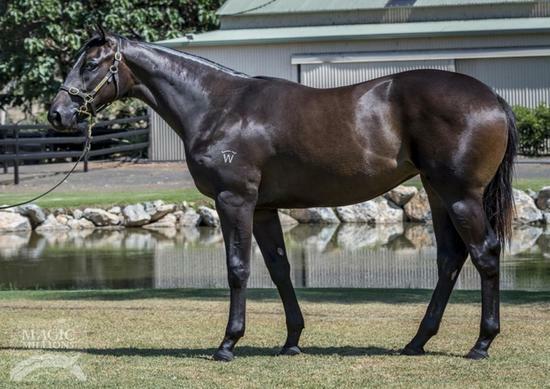 12 wins from 1350m to 2400m, A$570,810, AJC Summer Cup, Gr.3, Hawkesbury Gold Cup, Gr.3, AJC Australia Day Cup, L, STC Lord Mayor's Cup, L, Stc.com.au H., 2d STC Christmas Cup, L-twice, 3d AJC Summer Cup, Gr.3, City Tatt's RC City Tattersalls Club Cup, L, Newcastle JC Cameron H., L.
HURSLEY (Makfi). 5 wins from 1600m to 2000m, A$434,055, to 2016-17, VRC TCL S., L, MRC Racing Photos H., Helen Egan H., Chandler Macleod H.
ICHIBAN (Swiss Ace). 3 wins-2 at 2-at 1200m, 1400m to 2017-18, ARC Great Northern Foal S., L, Cambridge JC Cambridge Equine Hospital 2YO H.